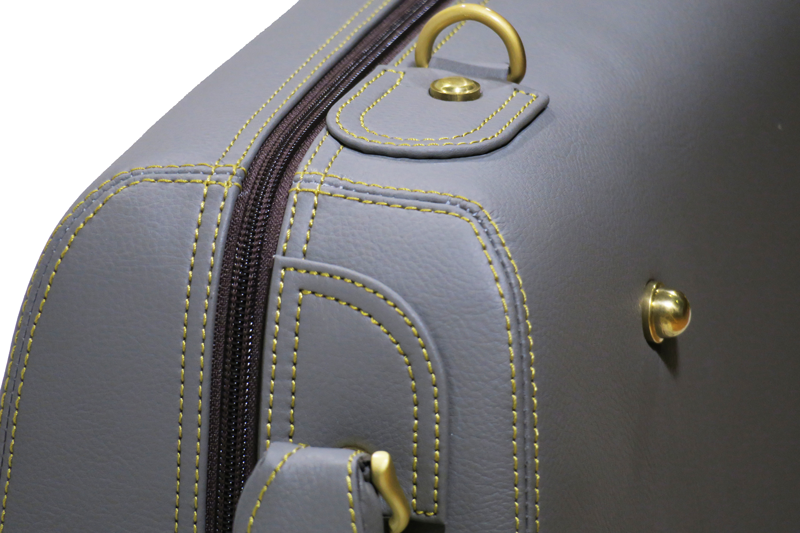 We are proud to present a new case which will protect your most valuable possession. 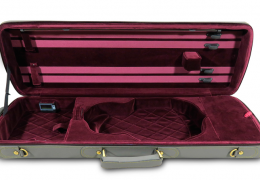 In 1996 we created our For-Tune cases division, specialized in designing and manufacturing a wide range of violin cases. 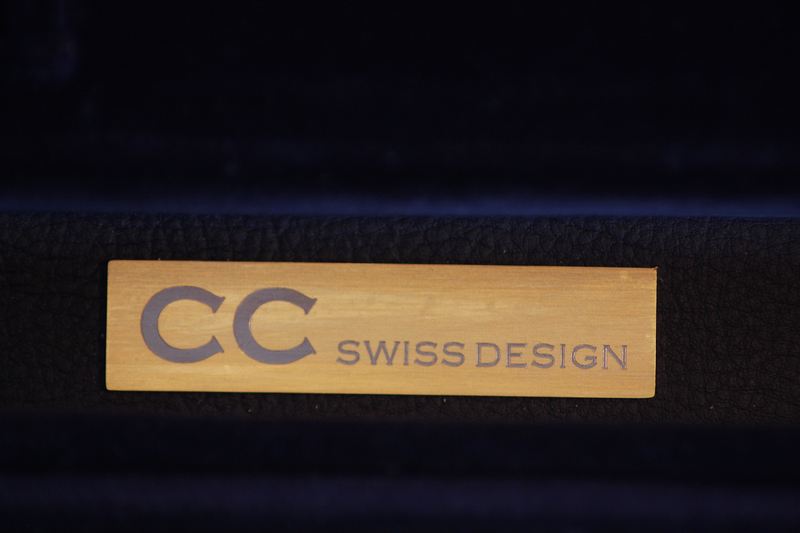 Our last creations are the CC CASE and the CG CASE, the two first models of our brand new C CLASS CASES, all of them eco-friendly, carbon and leather free. 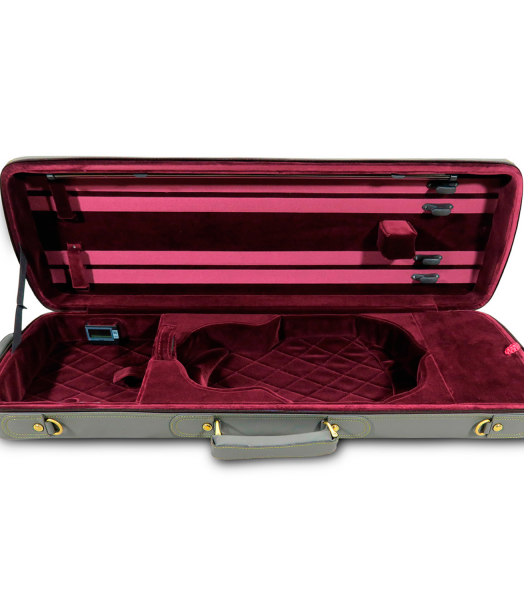 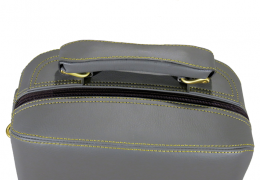 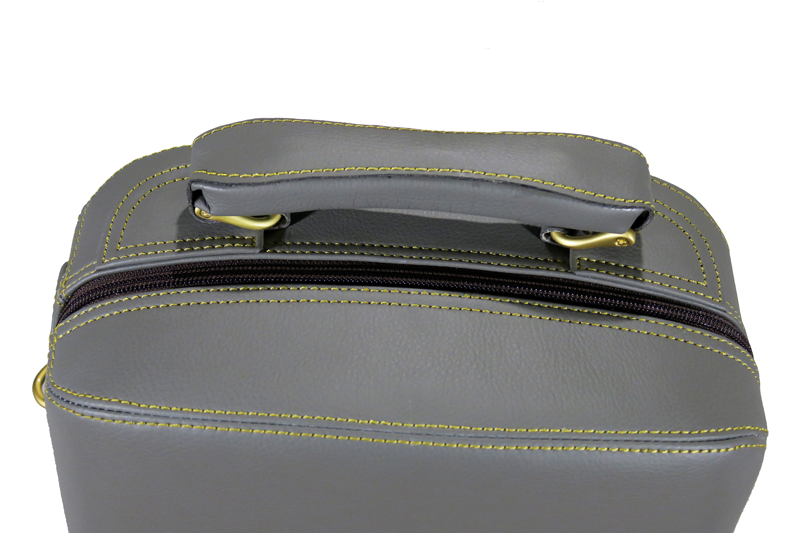 The new case CC Case has been designed in Switzerland by Curdin Coray who, after years of being in contact with the most prestigious instruments in the world, wished to increase their protection during transportation. 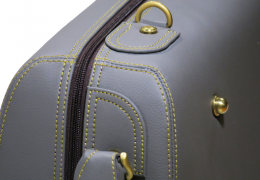 With CC Case, Curdin Coray has successfully achieved his wish by designing a case that meets the highest standards of safety, functionality and aesthetics. 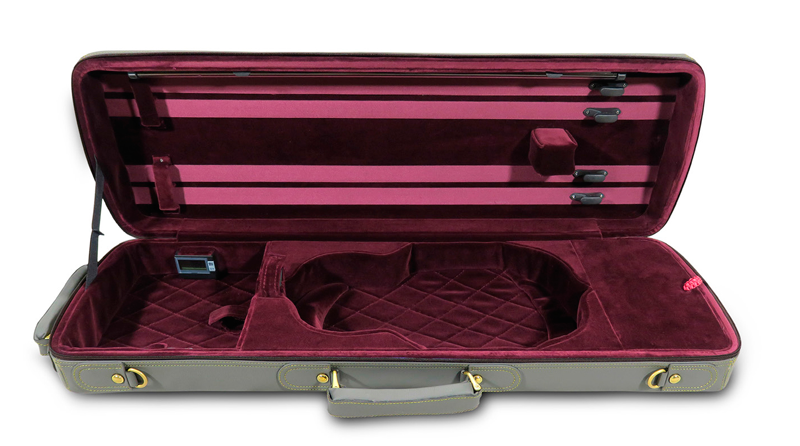 For-Tune Musical Instrument Co. Ltd. developed this new case, 100% handmade, under the guidance of Curdin Coray. Its interior, lined ​​with cotton velvet, has been thought out right down to the smallest detail. The way the bows are placed is an absolute novelty because it provides extra safety as well as easy access. It also includes a stylish folder for sheet music, suitable for the stands of the most prestigious venues. 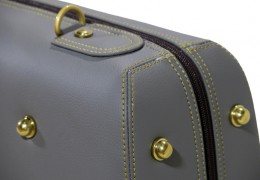 The CC Case shell is built with Synthetic Plywood, a light but exceptionally robust material. 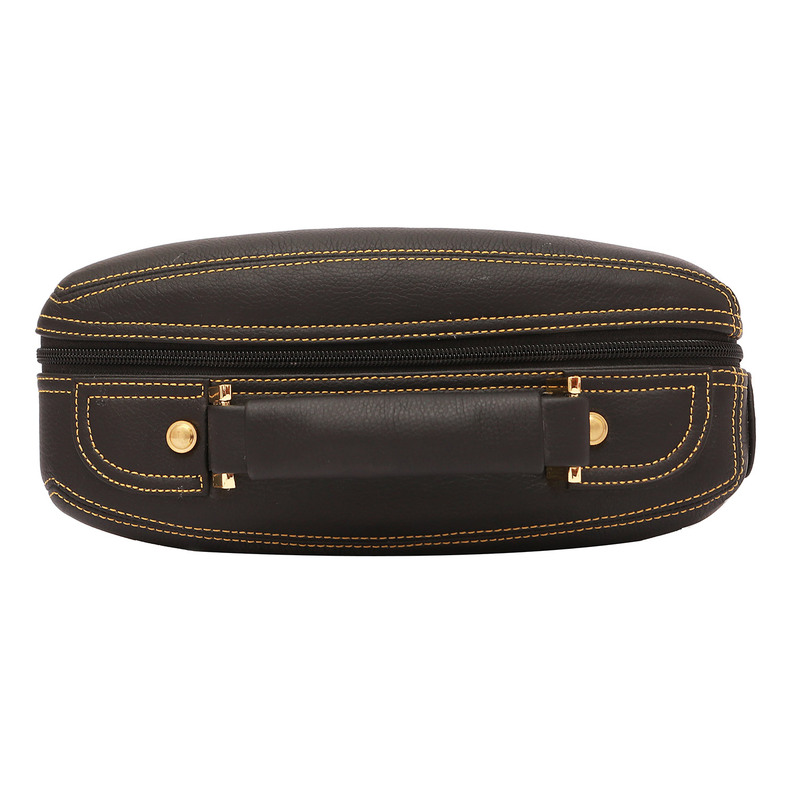 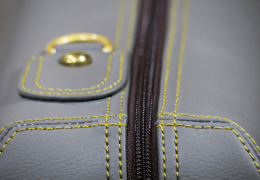 Its exterior finishes are manufactured with Microfiber Synthetic Leather, a waterproof and lightweight material that keeps the natural leather appearance without changing colour over time. 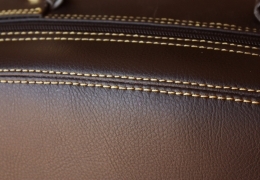 It also offers excellent thermal insulation and high resistance to scratches and temperature variations. 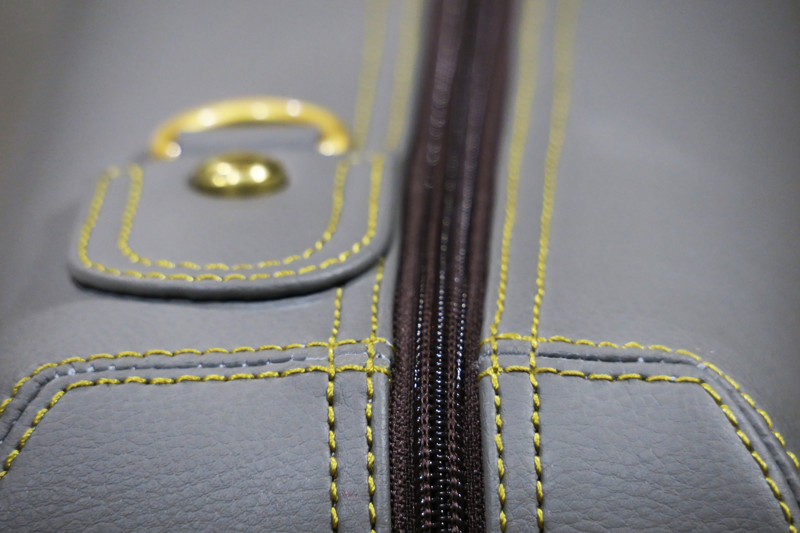 A hand-made ​​stitch turns the case into a truly unique accessory. 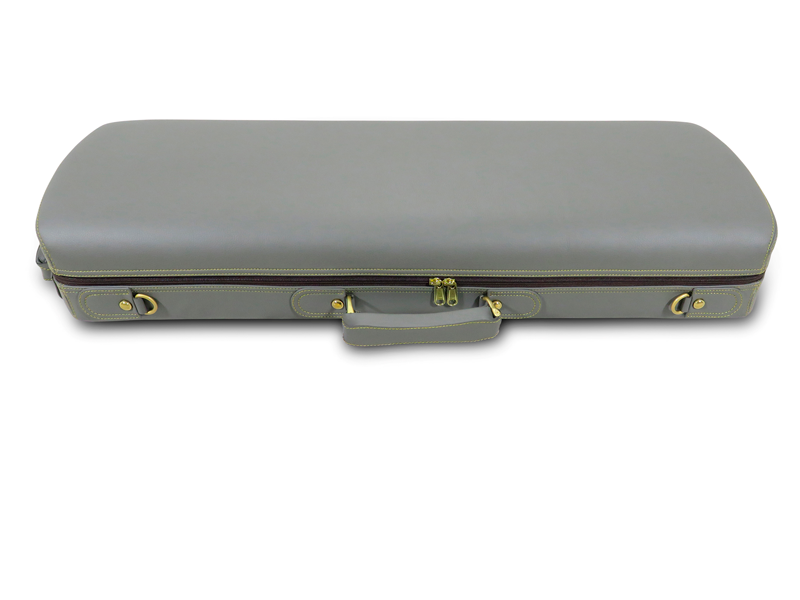 The CC Case is equipped with a high strength elastic strap that reduces the weight perception on the shoulder and softens the case brusque movements. 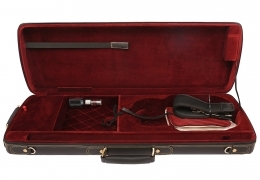 This is the ultimate choice for musicians who take care of their instrument while paying attention to their own image.  JS Bach, Tartini, Beethoven, Mendelssohn, Paganini, Wieniawsky, Ysaÿe, Kreisler… broke boundaries. 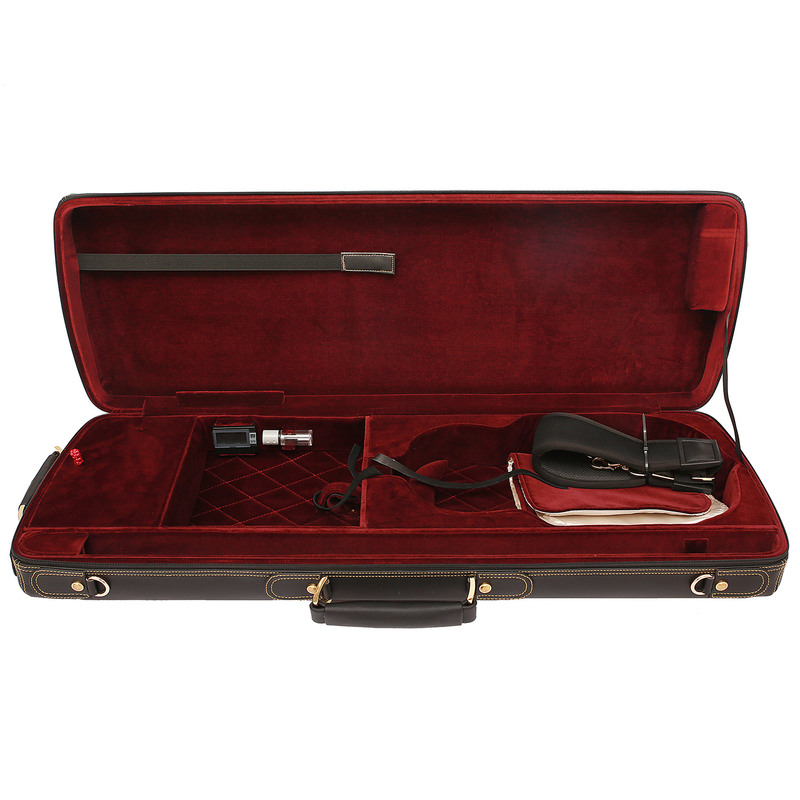 The CG case is for violin players who wish to go a step further and break boundaries. 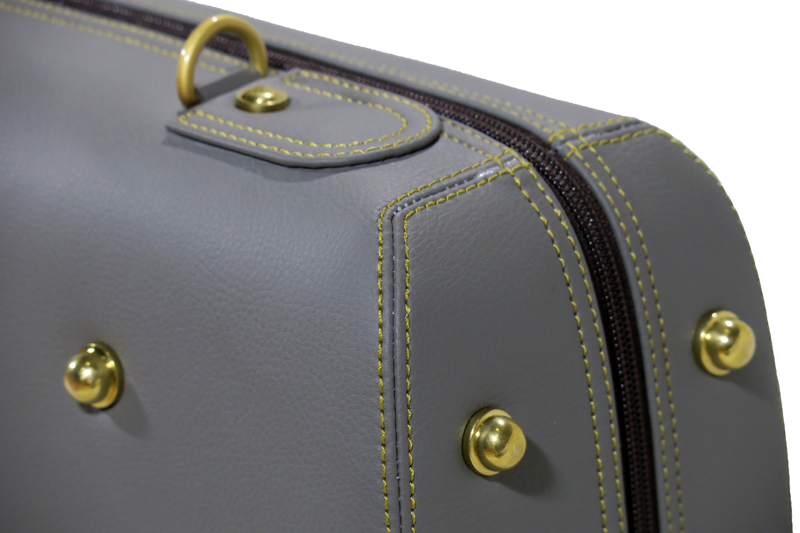 For those who expect the highest standards of safety, functionality and aesthetics. 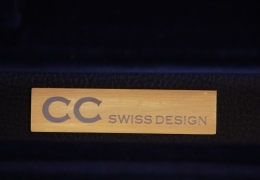 Built with Synthetic Plywood, a light but exceptionally robust engineered wood, the CG case is produced with its distinctive and elegant round outlines, thanks to our exclusive plywood shaping technology. The CG case offers excellent thermal insulation and the highest resistance to scratches and temperature variations. 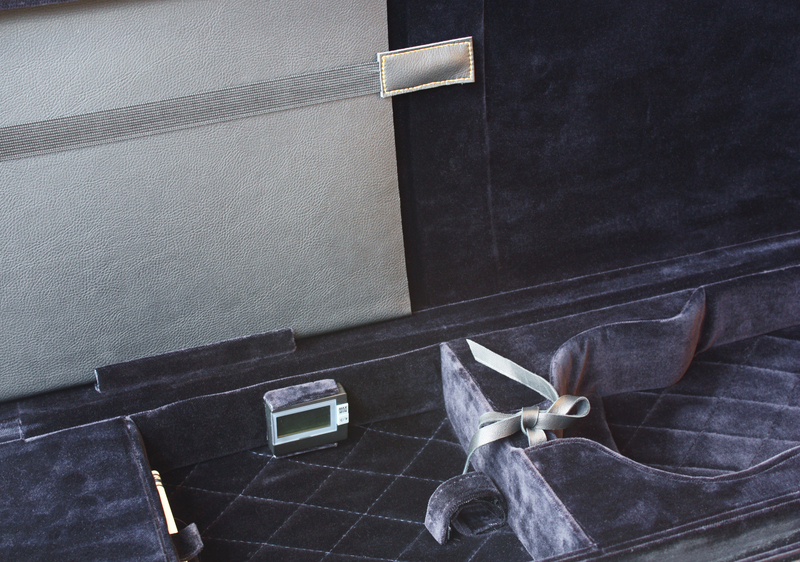 Its interior, lined with cotton velvet, has been thought out right down to the smallest detail. The exterior finishes are manufactured with Microfiber Synthetic Leather, a waterproof and lightweight material that keeps the natural leather appearance without changing colour over time. 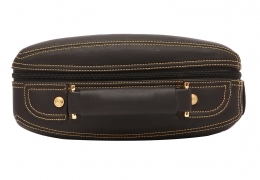 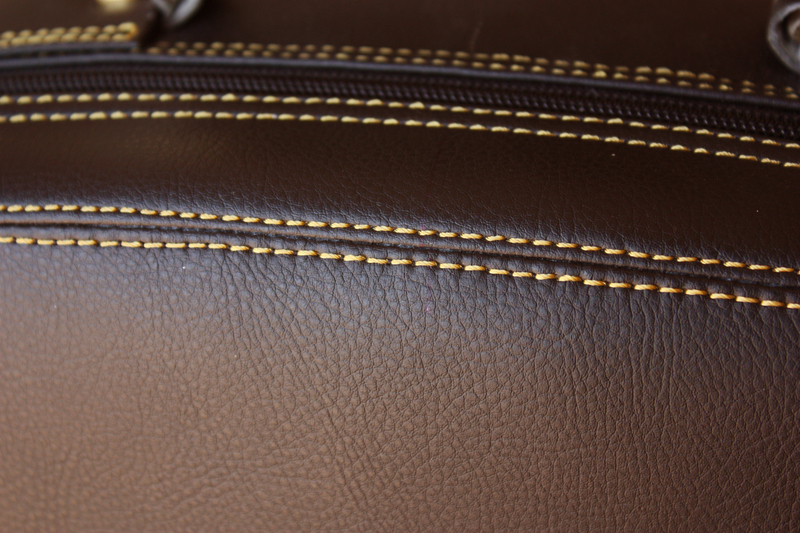 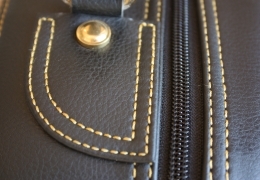 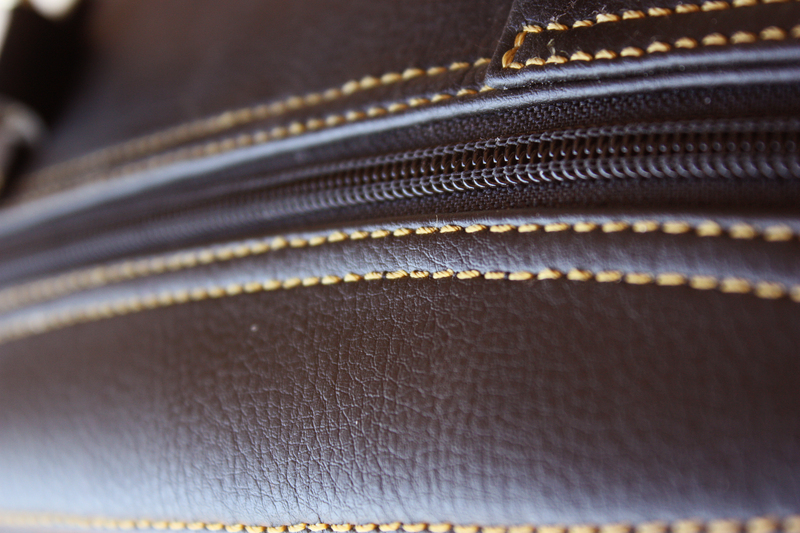 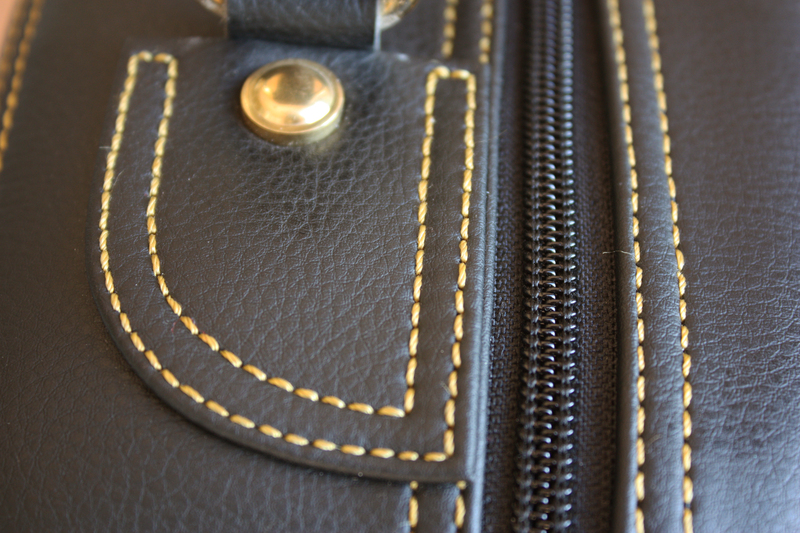 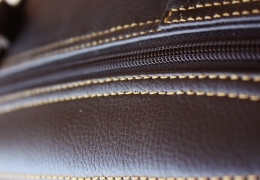 A hand-made stitch makes the CG case into a truly unique and elegant accessory. 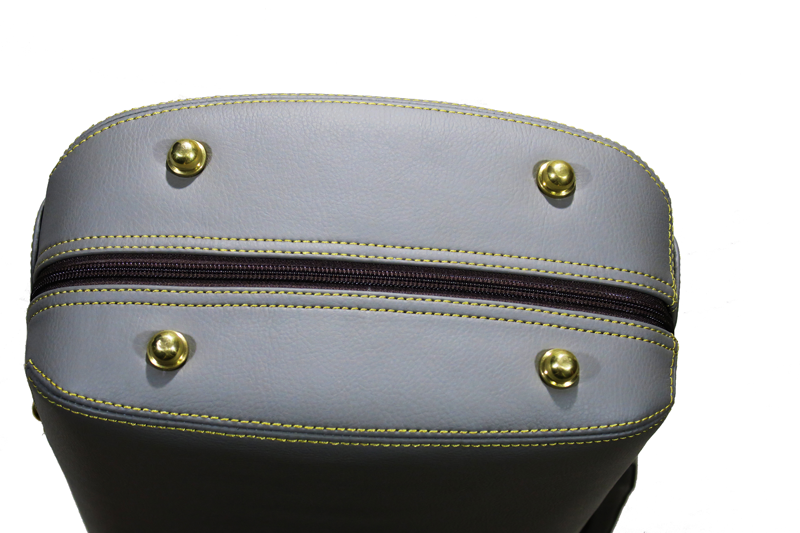 The CG case is also equipped with a high strength elastic strap that reduces weight perception on the shoulder and protects from sudden movements. 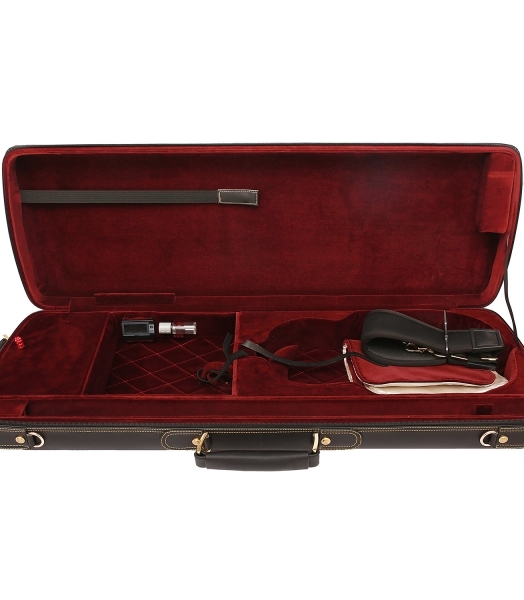 The CG case is the ultimate choice for violin players who want to break boundaries in performance, distinction and safety. 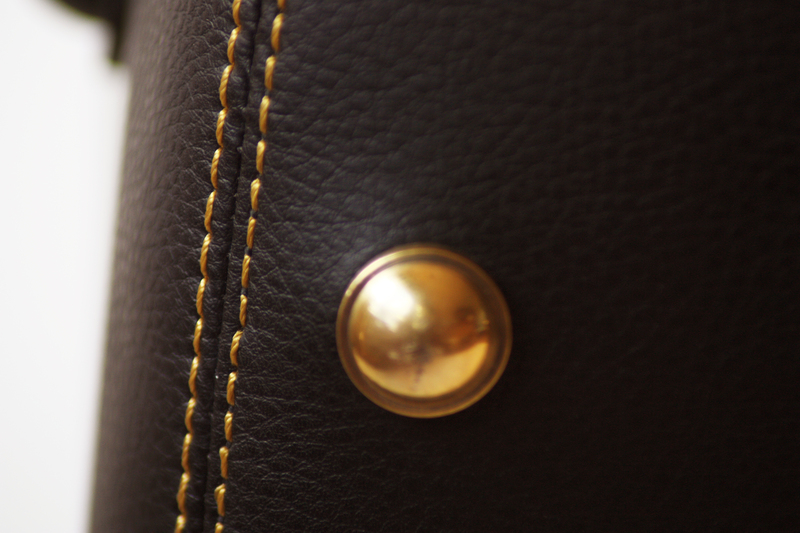 Do you dare to go a step further?